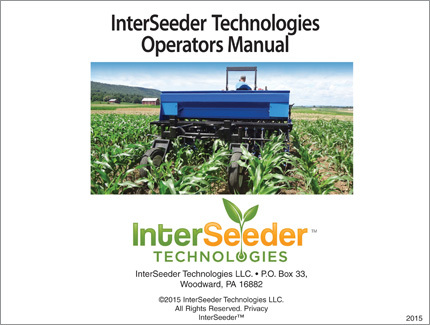 The InterSeeder™ has been designed to sow cover crops in standing row crops while at the same time applying post emergent directed herbicides and fertilizer. 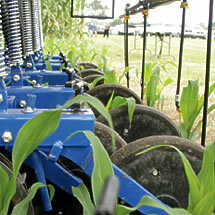 The InterSeeder plants three rows of cover crop for each corn row. 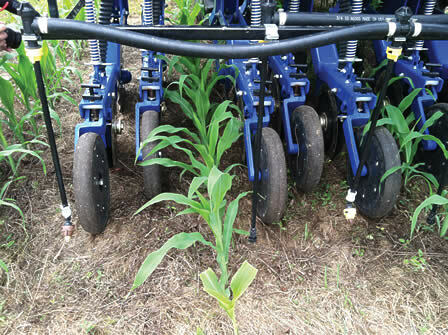 By having all these functions on one machine, it reduces the time, energy, and cost of planting cover crops in corn and potentially other row crops. 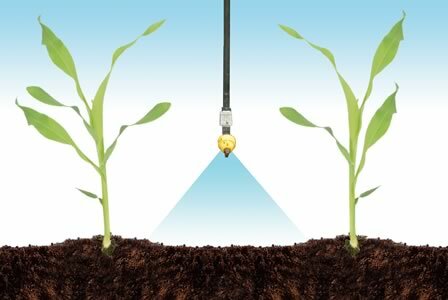 The InterSeeder™ facilitates no-till relay planting and makes it possible for farmers to develop a soil cover years round, be environmentally responsible, and improve crop yields. Getting cover crops planted immediately after the corn harvest, one of the busiest times of the year, can make for sleepless nights. Not anymore. Now you can "relay plant" cover crops to make management easier and reduce overall operating costs. And you may be pleasantly surprised by the bottom line boost the InterSeeder™ can give you. In some years, forage can be grazed resulting in additional income based on the farming operation. At the same time, reduced erosion and runoff, enhanced soil quality, and cover and some nutrition for wildlife are added benefits. 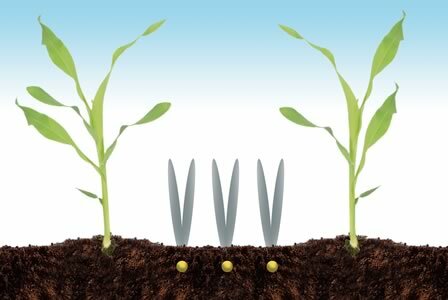 At the V7 or earlier corn stage, there is enough sunlight penetrating the canopy for cover crop seeds to germinate and establish. As corn grows and the canopy increasingly shades the row, the cover crop essentially lies dormant. 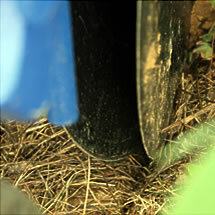 This prevents the cover crop from competing with corn for nutrients and moisture. When corn is harvested for silage or grain, the cover crops have already been growing for two months. They flourish and mature earlier than with any other cover crop planting method. The Interseeder applies a precision application of Nitrogen 4" off the corn row. Herbicide applied in the same pass under the corn canopy precisely targeting the weeds only. 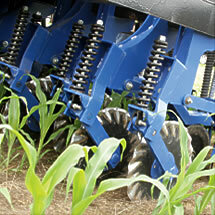 Lastly, the Interseeder plants the cover crop placing 3 rows between 30” corn rows. 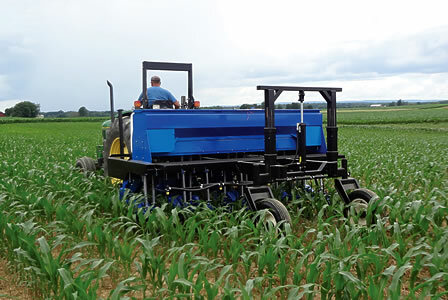 The InterSeeder™ is an ideal grain drill for crops like wheat, cereal rye or even soybeans. This versatility makes the InterSeeder a high value investment that will pay for itself faster than many other types of equipment. 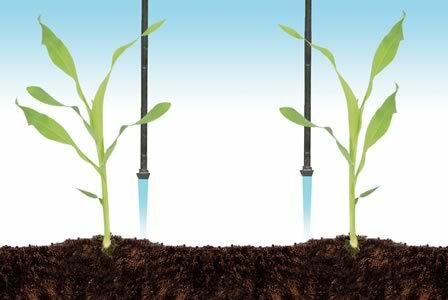 The interseeder can apply a post emergent herbicide between rows and then sidedress fertilizer adjacent to each using this boom setup. These packing wheels ensure seed to soil contact and accurate planting depth adjustment for each of the three rows between each corn row. These coulters on each allow the interseeder to achieve good seed to soil contact in a wide range of soil and residue conditions. 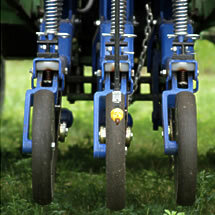 This tried and true system provides a uniform seed trench in various field conditions. Call us for other configurations to meet your needs at 814-404-0684.